She’s now one of the most successful models in the business, but Kendall Jenner used to be ashamed of showing her face due to acne. “Where it really impacted me was how self-conscious I became about it,” the 19-year-old writes in a new post on her website. 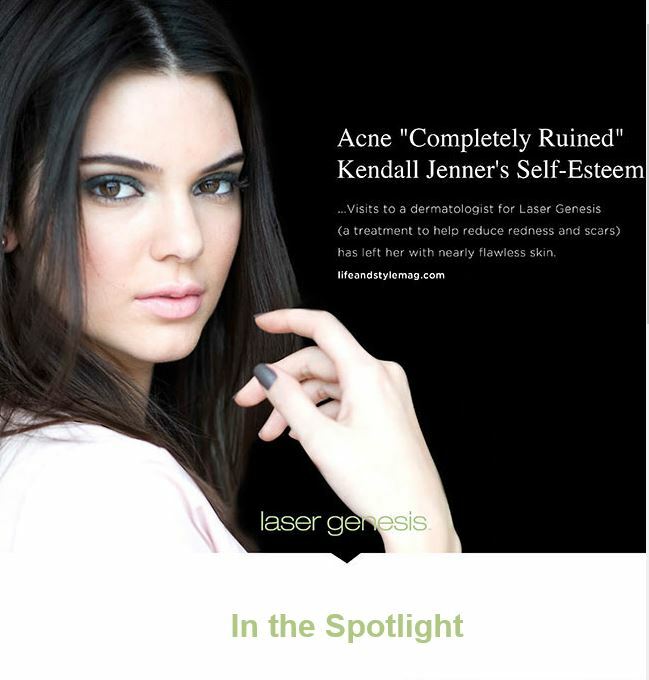 Having all gone through it before, sisters Kourtney, Kim and Khloé Kardashian encouraged her to “keep my hands off my face and to never pick.” Visits to a dermatologist for Laser Genesis (a treatment to help reduce redness and scars) has left her with nearly flawless skin.